Belize Trade and Investment Development Service (Beltraide) in collaboration with the Inter-American Investment Corporation (IIC) under the FINPYME Program hosted a technical assistance workshop entitled “Logistics for Small & Medium Enterprises” at the Belize Chamber of Commerce Conference Room on February 29th to March 1st 2012. IIC has developed the FINPYME Program (Innovative Financing for Small and Medium Enterprises (SMEs)) as a diagnostic tool for SMEs; intended to help them improve their competiveness and facilitate their access to potential sources of financing. 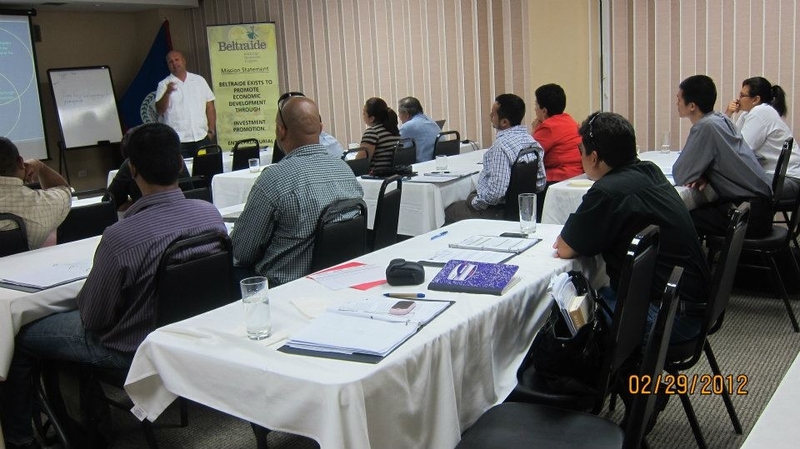 Phase 1 of this program was launched in 2009, whereby thirteen (13) companies were examined with tools through a company diagnostic, which was conducted by Belizean consultants. Phase 2 of this program is Group Technical Assistance workshops with the objective of enhancing SMEs competiveness. The training on logistics was facilitated by Mr. Reynaldo Guerrero, consultant at Key Business Solution, and he covered various topics such as shipping requirements and procedures, modes of transportation, shipping routes, frequencies and costs, insurance, supporting infrastructures, Regulatory Bodies, inventory management, role of Government & supporting agencies, trends and future development including real case studies. This workshop was the fifth of FINPYME program phase 2 and the next Technical Assistance workshop will be on Financial Proposal Writing. For more information, kindly contact the Business & Investment Facilitation Unit at beltraide@belizeinvest.org.bz or at 822-0175.